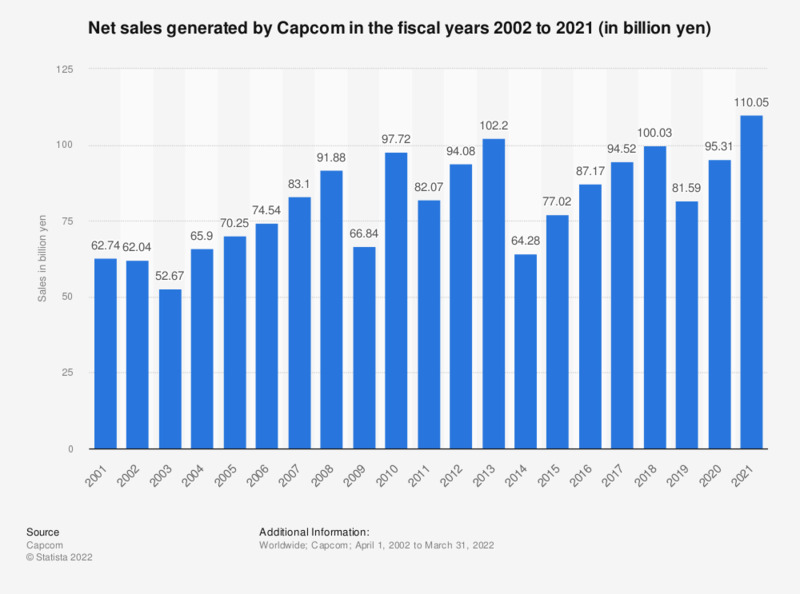 This statistic shows data on the net sales of Capcom in the fiscal years 2002 to 2018. In the fiscal year 2018, ending in March 2018, Capcom's net sales amounted to 94.5 billion yen, up from 87.17 billion yen a year earlier. Data from years prior to 2016 come from earlier reports. Capcom fiscal year begins on April 1 and ends on March 31 of the following year.